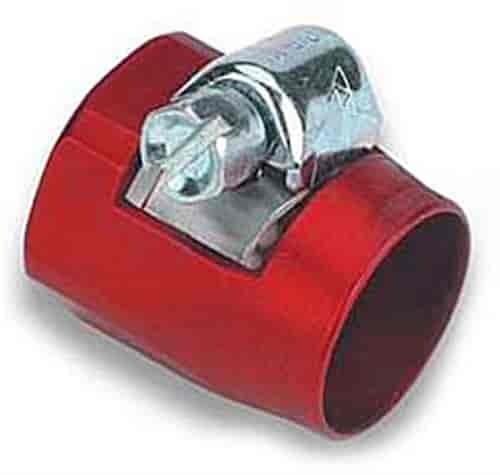 Earl's Econ-O-Fit Hose Clamps are machined from an aluminum alloy with special interior grooves that prevent the clamp from catching on the hose for smooth installation and proper placement of this worm gear-style clamp at the end of the hose. Sold individually in red, blue, chrome, or black. Clamp Outer Body: Sizes 3 to 16 are hexagonal. Sizes 18 to 36 are round. 900110 is rated 5.0 out of 5 by 1.